There is a very nice Christmas market at our main station and one stall is selling great italian cheeses. First of all I prepared the pasta. Mixed all the ingredients and the slowly add some water until you have a nice dough. Let the pasta rest some time in a plastic foil in the fridge. Then I mix in a blender all the ingredients. Check the mix, if too liquid slowly add the bread crumbs until it has a nice texture. It cannot be to wet otherwise is will soften up the pasta. Use the Pasta machine or roll it out until it is thin. 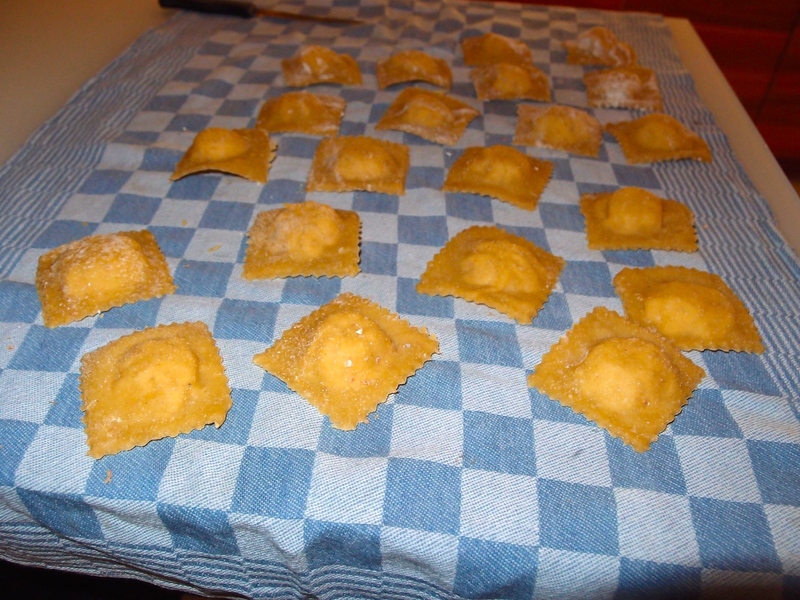 Put a small amount of filling every 5 centimetres and cover with another part of the pasta. 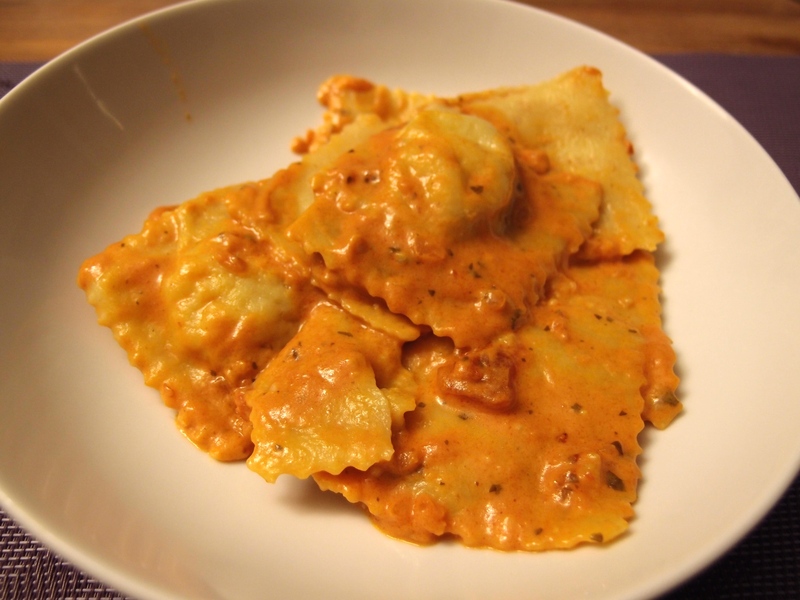 Use a ravioli stamp to get the form and let them dry a little on a cloth covered with some flour. Cooked them in hot salted water for some minutes (after they get back to the surface another 2-3 minutes). In this case I prepared a tomato mascarpone sauce and served with some parmesan.